I'm a product of Pueblo East High School (class of '79). Lots of great memories of my time there: Tennis practice, writing for the Eagles' Cry newspaper, my basketball team boyfriend Dennis, Styx, REO Speedwagon, T.J. Swann parties, wrecking the family car trying to drive up a frozen road, near the campus... but I digress. 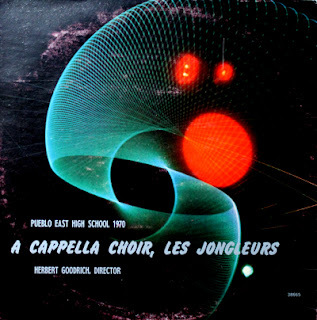 Back then the EHS choir group, Les Jongleurs, were considered about as cool as the chess or math club. "The L.Js," as they were called when I was there, were made up of vocally talented teens, who dressed in formal attire and performed concerts throughout the state, and won lots of awards. That's about all I remember. I had a few friends in the group, namely Carol, Mike, Cheryl, and my next-door-neighbor, Bill. Couldn't tell you where they all are now. 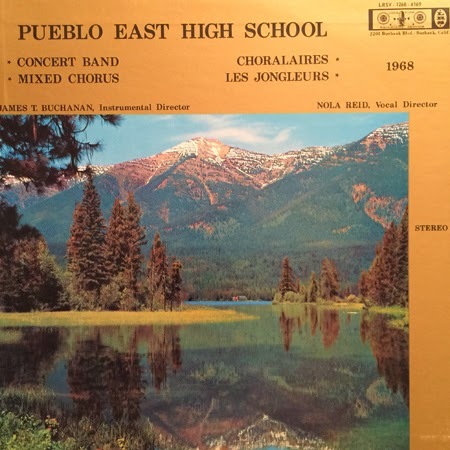 My Pueblo buddy Dwight Hunter clued me in to a 1970 album, the self titled Pueblo East High School Les Jongleurs, languishing on eBay with nary a bid - until I nabbed it on the cheap. Released on the prolific Century label, the album lists Herbert Goodrich as the group's director. Lots of classical choral stuff here, but the group has fun with "Happiness Is," and "You're a Good Man Charlie Brown," both from the 1967 musical. The last song on side one features vocalist Ron Rivera on "Age of Aquarius/Let the Sunshine In". Man, I really, really wish he had been mic'd better. Wow. Earlier this year another dear friend, Pueblo record dealer Joel Scherzer, found the follow-up to above LP. Songs of the Pride School was produced in 1971, on the Audicom Corporation label. 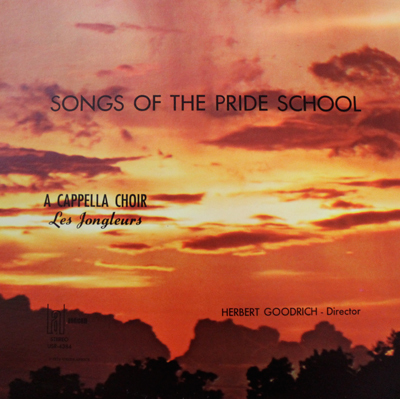 Herbert Goodrich is still listed as the group's director. 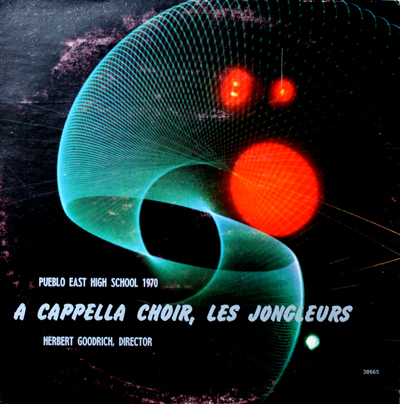 The selections on this one are almost all spiritual or public domain standards, but the group gets to let loose on "Heaven on Their Minds," from Jesus Christ Superstar, and the rock cantata, "The Creation." 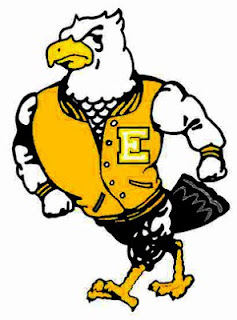 Listen to "East High Hail to Thee"